Being a single parent is one of the hardest things you can do. But being a single father has unique challenges that single mothers may not face. Very few people plan to become single fathers, but life can throw you a curveball. You didn’t plan to split up with your children’s other parent, but it happens. Now, you have to figure out how to do it all on your own with nobody to lean on, which gets hard. But that doesn’t mean it’s impossible — in fact, it’s quite doable! Many men do it every day, so why shouldn’t you? 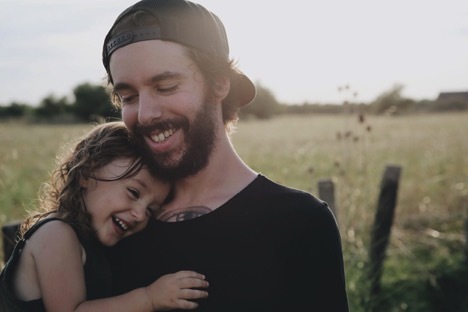 You get to be the best dad you can be: Whether you have your kids full-time or only every other weekend, your parenting skills are on full display, and you can certainly knock it out of the park. An important thing to remember is that you have to take care of your mental health — not just for you, but for your family. Especially if you’re recently divorced, you might be dealing with a lot of painful issues that can lead to anxiety and depression. As mental health experts explain, “The way we eat, drink, love, and cope with stress, depression, anxiety and sadness all play a big role in the state our mental health is in. Sometimes, it’s necessary to take a step back and ask yourself if you’re doing the right thing for you, and not the easiest thing.” It’s difficult to take the first step toward better mental health, but there’s no greater gift you can give your kids. Traditional American culture is that the men do the work and bring in the money, and the women raise the family and take care of the house. Luckily, that tradition has been left behind, and now men and women share household and income responsibilities. So, hopefully, that has made you more able to manage the household with your kids. You can be just as nurturing as their other parent by putting the bandage on the scraped knee, sewing up the torn stuffed bear and learning to braid your daughter’s hair, too. Probably the most important rule of single parenting is not to disparage your ex. If your child has another parent in this or her life, you should never — ever — say anything negative about him or her in front of your children. Children internalize that negativity, and it can affect them for the rest of their lives. Even if your ex says horrible things about you, don’t join in. Your relationship with your ex is none of your children’s business. Smile and make nice in front of the kids, and vent to your buddies when your offspring aren’t around. Your children will thank you later. One of the best things about being a single parent is that it forces you to be a better parent. You don’t have anyone there to lean on when it gets tough, so you have to learn to solve problems on your own in ways that you might not have done before. It takes a bit of a learning curve, so don’t beat yourself up if you don’t know everything right away. A good thing about being a single dad is that you get lots of uninterrupted time with your children, when you can play with them, read to them and talk to them about anything in the world. You can ask them about how they’re feeling and talk about their lives. The bonding time you’ll have together is priceless. The time you have with young children is precious, so don’t let it slip away. When it gets difficult, remember that they are only young once, and take a moment to cherish it.